Come try out one of our new heirloom variety watermelons! You can even prepare and eat the seeds! It’s the year of experimentation! 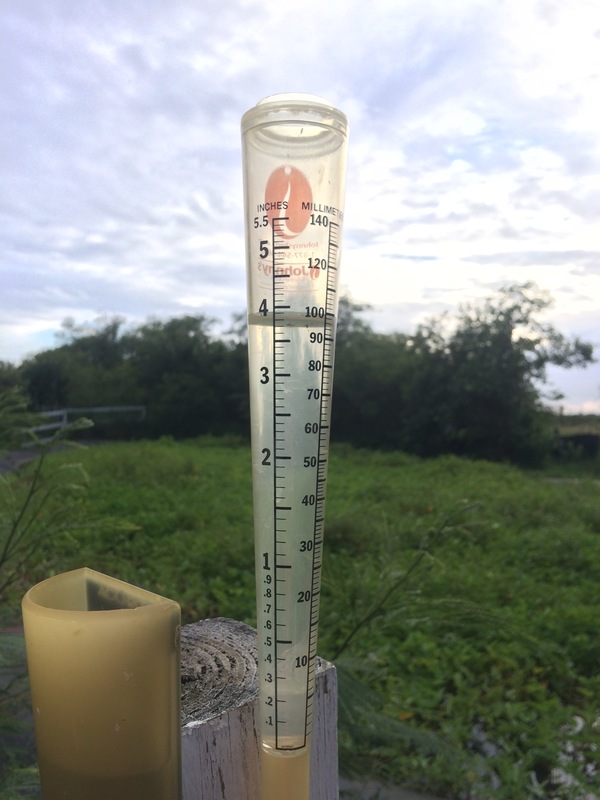 Since the beginning of May, we’ve received over six inches of rain on the South Shore. Yeah, we’re kind of psyched about that. Farmer Luca has been growing trials of many different kinds of watermelons and other melons this spring at ARTfarm. Today we will have four types for you to try! (Limited quantities, so arrive early if you possibly can.) Frankly, we love them all, but please give us your feedback on what are your favorites so Luca can plan to grow more of the best ones. They taste sweetest when chilled, if you can wait long enough! The heirloom watermelon varieties we are growing tend to have many prominent seeds (compared to a commercial supermarket type watermelon). While everyone knows that the modern advent of the seedless watermelon has saved humankind countless tedious hours of spitting, our robust and weighty old fashioned seeds can be useful as more than mere projectiles at an outdoor children’s gathering. Of course they can be saved and planted, but they can also be prepared and eaten: The seeds can be juiced; or sprouted, then ground into a sprouted grain flour and used in gluten-free baking; perhaps a more accessible use for the lay watermelon-seed-eater would be to rinse and dry them, then prepare them much like salty roasted pumpkin or sunflower seeds. Here’s a recipe we found online! Come to the South Shore this morning and hook up your week with organically produced fresh fruits and veggies, herbs and other treats: Sweet salad mix, teen spicy salad mix, bunched arugula, a few bunches of kale and Kan Kong (Asian water spinach) and of sweet potato greens, loads of bell peppers, all three of our hot/seasoning types of peppers, the end of the tomatoes for this season, Italian basil, parsley, recao (culantro), rosemary, lemongrass, garlic chives, a few bunches of onions, radishes, a couple of shaddock (giant grapefruit-like citrus), lots of passionfruit, pumpkin, various types of watermelons – whole and cut, beautiful papayas, fresh ginger root, and loads of amazing zinnia flowers. We have fresh local goat cheese from Fiddlewood Farms! Freak out! It’s so good!!! What Do We Do With All This Zucchini? Gluten-free products abound in the grocery store, but they can be really expensive compared to their wheat-based inspirations. $6 for a 1lb. box of GF corn and rice pasta? How about an alternative that has all the nutrition of the mighty ZOOK? Basically, everything but the seedy core of a zucchini or summer squash can be cut into quite narrow pasta-like noodles, lightly baked and then stored in a ziptop bag in the fridge for 5-7 days. You can get a $25 bulky, entertaining kitchen gadget called a spiralizer to make hilarious fifty-foot continuous noodles from a zucchini while spitting out the core, or just use a mandolin or other handheld julienne-inducing type of potato cutter along the length of the squash for zoodles. Check YouTube for lots of videos of happy people, mostly moms, making zoodles. Zucchini releases a lot of liquid when cooked, so unless you’re going to put them directly into soup broth, it’s a good idea after slicing up your zoodles to place them on a cookie sheet on clean (non-fuzzy) dishcloths or paper towels, salt-an-pepa them and toss a bit, and bake them in a very low oven for about 15 minutes. Then gently squeeze them out in another dry dishtowel to remove more of the liquids. To cook, just make your favorite spaghetti sauce – and about 5-7 minutes before it’s done, throw the appropriate amount of zoodles in the pan with the sauce to warm up a bit and cook just a little. If you’re not feeling saucy, just sauté them in butter and crushed garlic until tender, 5 minutes or so. Try throwing them on the grill! Who knows what will happen! It’s crazy! Experiment!! We find these yummy and very filling. Plan about 1 medium sized squash per person. Makes nice re-heated leftovers, too. And if you really get tired of them, bake them into zucchini bread, see below. We love seeing what you do with our produce! Here is a stuffed zucchini with a side salad! Thanks Isabel Cerni & family! A pizza-like option with grated parmesean cheese, sauteed veggies, mushrooms, tomatoes and the like, topped with mozzarella and basil. All of these fillings do well with some sautéed onion, salt and pepper to taste, some fresh herbs (experiment!) and some of the zucchini chopped finely, mixed in. You can add any cooked grains: breadcrumbs, polenta, wild rice, quinoa, amaranth! Go nuts and add some crunchy seeds and nuts! Stir an egg into the mix for more protein! Some recipes recommend pre-baking or grilling the zuc-canoes before filling, others don’t. After assembly, bake the zu-boats in a baking pan so you catch any errant juices. Depending on the filling and how big your zukes are, they’ll probably bake for 20-40 minutes. Poke ‘em with a fork to see if the squash is tender. Check a real recipe if you’re wanting more guidance. This is the kind of recipe you really can’t do wrong (especially if you pre-brown any meats/sausage), so go freestyle! Let your kids load up these little pirate veggie boats! Ahoy! 1 cup shredded or mashed sweet fruit (apple, sugar apple, soursop, banana etc. Spices to taste: 4 teaspoons cinnamon, 1 teaspoon sea salt, 1 teaspoon nutmeg or slightly less of cloves, 1 teaspoon ground (or fresh) ginger. Sweetener to taste: half a cup of honey or coconut sugar or whatever sweetener you like. If it’s very liquidy, like maple syrup, adjust the recipe accordingly so you don’t wind up with too runny of a batter. Depending on what fruit you added, you may need less sugar. The sugar adds to the texture. We like using a super brown sugar like the coconut sugar or muscavado because it is less sweet tasting. You could try molasses, too! Preheat the oven to medium temp, 350-375 or so. Using a little butter or coconut oil, grease up two loaf pans and then line them with parchment paper. I usually butter the parchment paper if it overlaps so it sticks to the pan really well. Grate the zucchini onto the center of a dish towel. About two big zucchinis will make 2 cups of shredded zucchini. Gather up the corners of the dishtowel and squeeze out all the juice over the sink or — over a jar and reserve for veggie broth or to feed your dog etc. 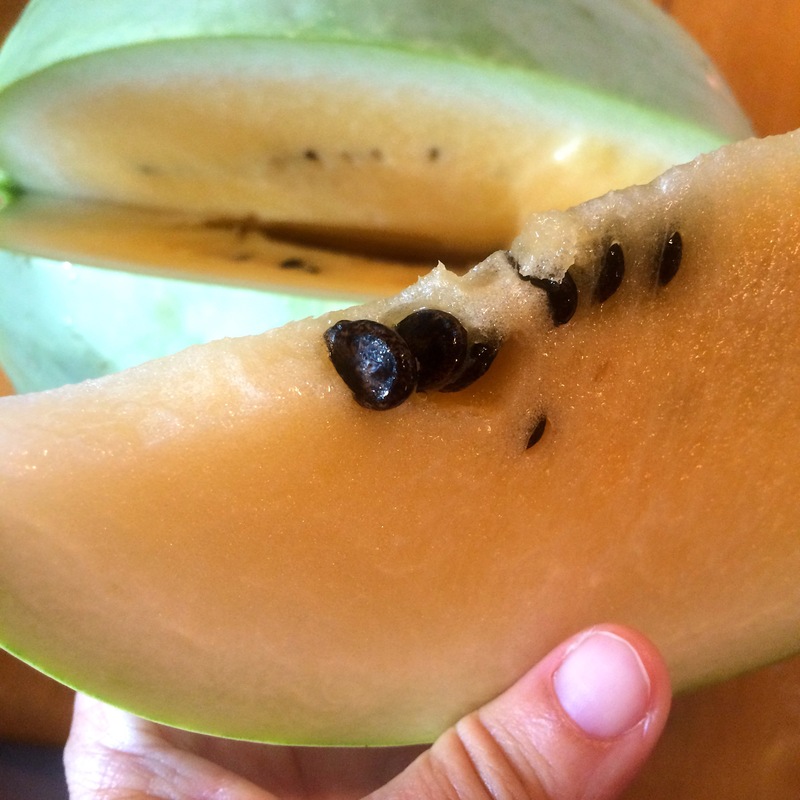 Mash or grate your fruit item, removing inedible core/seeds/peel. Beat together the eggs, sweetener and (mashed or grated) sweet fruit until well combined and frothy. Add in your grated zucchini and toss again until everything is nicely coated. Place the dry ingredients (almond flour, spices, baking soda) in a mixing bowl and toss them together until they’re well incorporated without clumps. About a third of the bowl at a time, add the dry ingredients into the wet and mix until wet. Divide the batter into the two loaf pans and even them out a bit with a spoon. Bake loaves for about 40 minutes until the top looks dry and a toothpick comes out clean. If you do this as muffins they will bake faster. Remove them from the pans after they’ve cooled a bit. 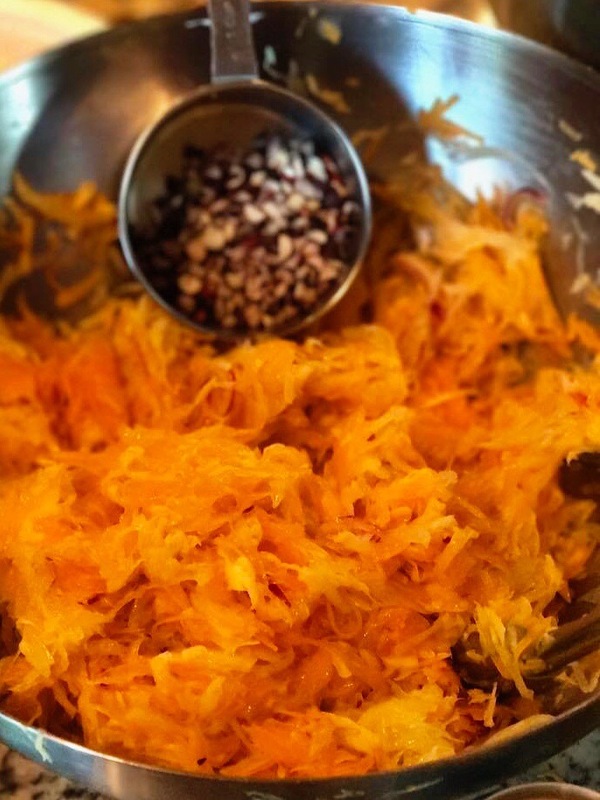 There are many, many more uses for squash. Sliced lengthwise they are gorgeous on the grill and take well to a marinade and a smoky flavor. Then you can roll them up and make some kind of fancy canapé or add to a shish kebab, Yum! Anywhere you might have used carrots, broccoli or string beans, use zucchini squash. They make a very elegant and colorful layered veggie side dish. Use a combination of green zucchini and yellow summer squash, layered with some goat cheese and pinenuts or pumpkin seeds in a glass casserole dish with salt and pepper. A little rosemary or tarragon is great in there, or perhaps a curry flavor? Vegans could probably go with babaghanouj in between…Cover and bake for 20–40 minutes depending on how big of a casserole dish, how thick you sliced him, and how soft you like ’em. Use them as bowling pins, doorstops and throw toys for your dogs if you still have too many zucchini. Farm ON!! reOPEN today, Saturday Dec. 12, 10AM – 12 noon! We’ve got beautiful sweet green zucchinis and round yellow summer squashes! Big beautiful bunches of tender, dark green Ethiopian kale plus two other kinds of kale. Dandelion greens. We’ve also got wild gherkins – these are pasture cucumbers, spiny but delicious as a quick (or slower) pickle. Quick pickle recipe below. Salads are back! Come early and dig into the farmstand coolers: we’ll have sweet salad mix, baby spicy mix, baby arugula, and green oak leaf lettuce heads. Freshly early-this-morning-harvested herbs: thyme, Thai basil, Italian basil, holy basil, lemongrass, garlic chives, recao. Some green (red hot) chili peppers. Say hi to Santa at the Christmas Boat Parade tonight, and tell him we’ve been really really good at the ARTfarm and we want a pony. No, make that lots and lots more rain. Wild pasture cucumbers: salty, crunchy, earthy. A bit spiny to the touch – just rub the little points off with a dishcloth when rinsing! Eating these weedy little cucumbers is a bit like those early childhood experiments where you’d find something outdoors and decide to “make a snack”. 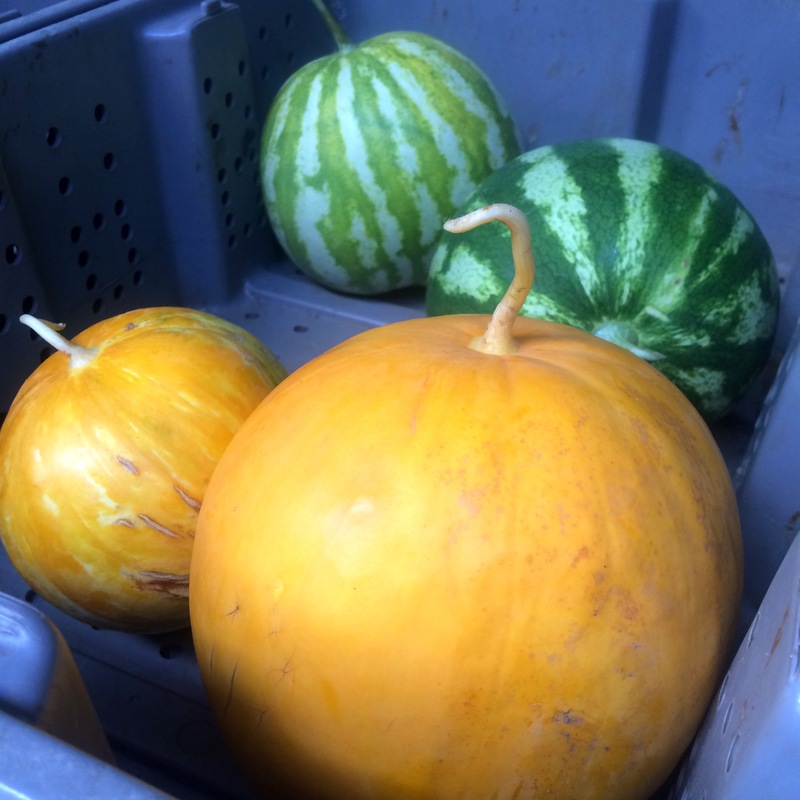 Sometimes when we are working in the pastures and run out of water to drink, these juicy little bite-sized cucurbits are just the thing! Nature’s little oasis. This quick pickle is delicious served as a crunchy little side anywhere you’d want a bit of relish. Briefly dry roast the cumin seed in a saucepan. Add the liquids, sugar and salt and bring to a simmer. Toss the cucumbers, onion and fresh herbs in a bowl and pack loosely into canning jars. Pour hot liquid over chopped cucumber mixture to cover. Allow it to sit until just warm, then cover. Eat as soon as cool and/or refrigerate. Will settle in flavor and taste even better the next day. ARTfarm Saturday Stand – De-stress! 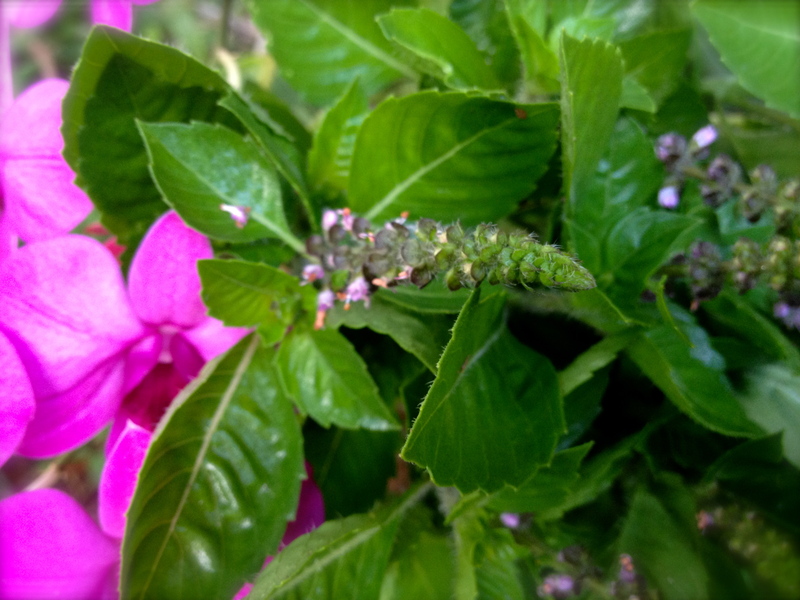 Bees love the nectar from the purple flower spikes that grow from holy basil. The plant is purported to have anti-stress medicinal qualities, and makes a refreshing ‘bush’ or herbal tea. We grow holy basil organically at ARTfarm and cut it fresh for the farmstand. Happy ARTfarm Saturday! This morning starting at 10am we’ll have: sweet salad mix, spicy salad mix, arugula greens, mAcro greens, beets, radishes, tender young cucumbers, dandelion greens, escarole, red mustard greens, garlic chives, sage, thyme, fresh cut zinnias; Italian, Thai, lemon and holy basil, lemongrass, and local honey from Wanda and Patricia. Come out to St. Croix’s South shore this morning and enjoy the cool breeze! Steep a bunch of fresh cut holy (tulsi, pictured above) basil with a bunch of lemongrass in a couple of gallons of freshly boiled water. Pull out the herbs after 10 minutes and add some local honey to taste. Enjoy hot or cold! Sip, be refreshed, be de-stressed, enjoy a local beverage! Costs pennies per serving!